The celebration of Las Posadas brought together members of Christ the King and its anchor church, Abiding Hope Lutheran in Littleton, Colo.
Joel Rothe (right) hopes Christ the King can be a place where authentic community can be formed among people of varied backgrounds. Children present projects during worship at Iglesia Luterana Cristo Rey, El Paso, Texas. 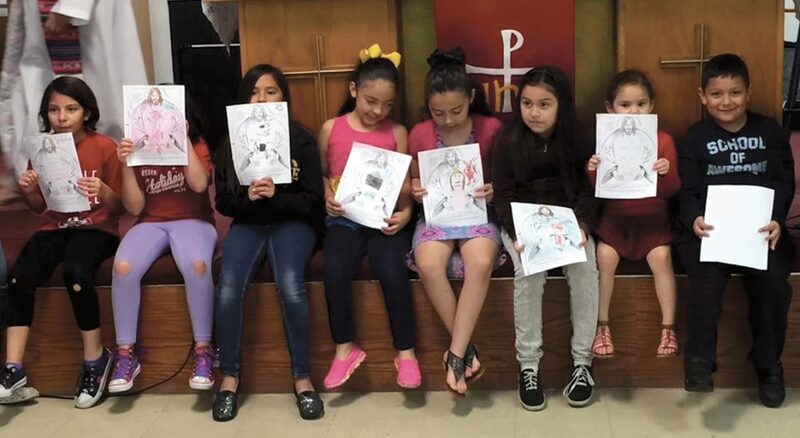 Cristo Rey has an after-school program that connects many families who start worshiping at the congregation. The program’s goal is to help kids graduate from high school. 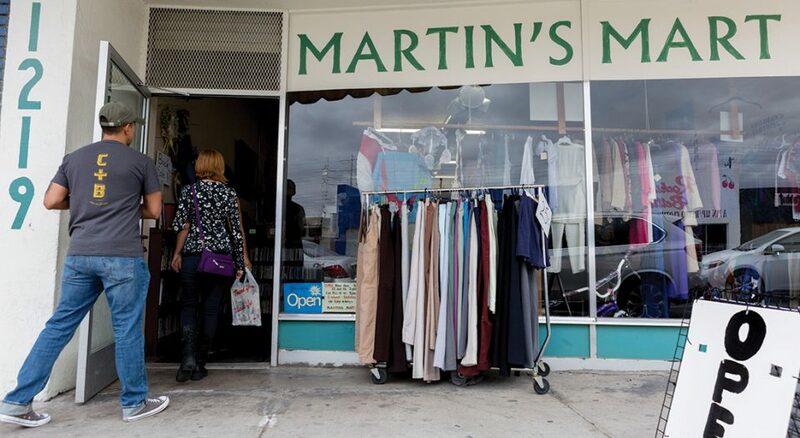 For more than 40 years, members of Reformation Lutheran Church, Las Vegas, have helped operate Martin’s Mart, a ministry that provides clothing and basic necessities at a low cost to people who need them. Judy Schacht, a member of Reformation Lutheran Church, Las Vegas, manages Martin’s Mart. The store is run by volunteers, and store proceeds are donated to charitable organizations every year. In a changing world, the ELCA is now focusing on congregational vitality, which the ELCA Conference of Bishops described by saying vitality is found in communities of Jesus that nurture life-changing relationships with God, one another and the world. The description is fluid and adaptable to the highly contextual nature of ministry. This new way of looking at congregations came to be because the two traditional measurements for congregational health—people in pews and money in the offering plate—don’t always tell a full story. Many congregations with tight budgets and slim attendance are vital, while others with plenty of people and money lack a similar level of energy. “Congregational vitality is more [about] describing the ways in which the Spirit of God is providing life, energy, a sense of mission and direction and nourishment to the body of Christ,” said Ruben Duran, director for congregational vitality. The concept is grounded in Lutheran theology, which holds that it’s the Spirit that brings faith to people and gathers, sustains and leads the church. “There are so many ways the Spirit gives life and sustains the church all over the world,” Duran said. After her struggling congregation closed its doors in 2011, Mary Anne McKenzie joined Christ the King Lutheran in Denver, but it, too, faced serious problems of declining membership, tight finances and an aging building. Soon, Christ the King was weighing its final option. “We had gone as far as having a realtor come in to assess the facility,” she said. A fresh start came in 2016 when the congregation partnered with Abiding Hope Lutheran, Littleton, Colo. A mega-congregation, Abiding Hope covenanted to be an “anchor church” and provide money and leadership to help Christ the King get back on its feet. 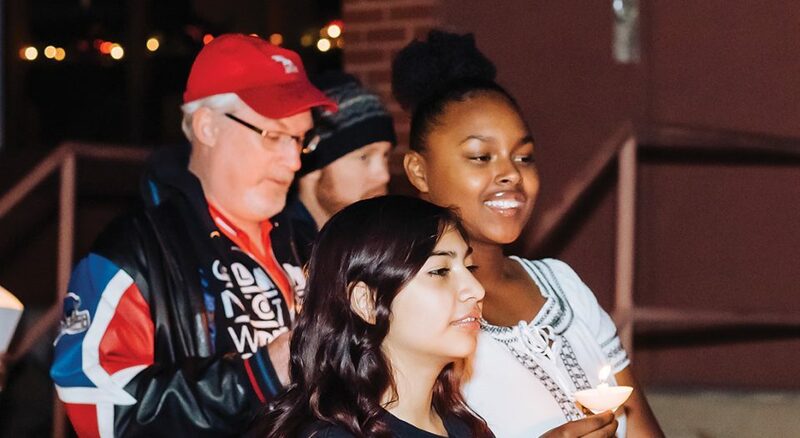 Abiding Hope brought in strong pastoral leadership, administration assistance and volunteers, and guided Christ the King in forming a new vision. Christ the King has been reconnecting with the neighborhood through initiatives such as a community garden and a midweek Spanish-language service. It’s now renovating the fellowship hall into what its pastor, Joel Rothe, envisions as welcoming space for neighbors to gather. Being an anchor church is just one of many grassroots strategies bringing congregational vitality across the ELCA. In this new initiative, the denomination is focusing on sharing the ways that congregations are achieving vitality in their context. The hope is to help the ELCA become more of a learning community—sharing good ideas, best practices and successful models. 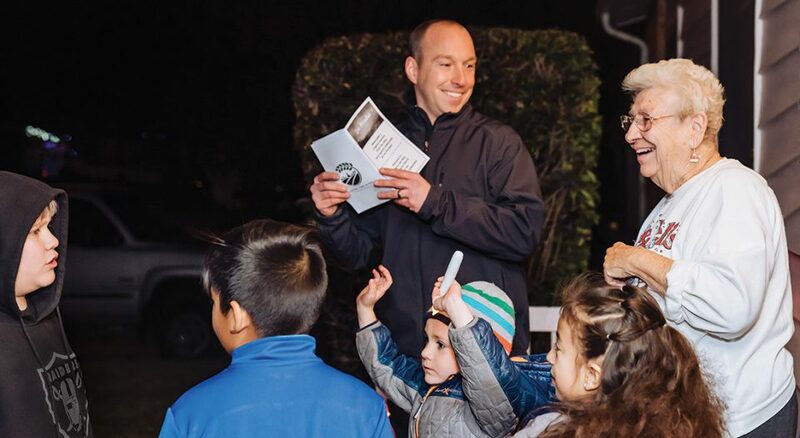 “I’m assuming, with joy, the responsibility of connecting all over the country, trying to gather descriptions of vitality already present in our church and then, as we do that, we will become more and more a learning community,” Duran said. For instance, the church is teaching synodical leaders and pastors of large congregations how the anchor church model is successfully used by Abiding Hope and others, including Christ Lutheran in Charlotte, N.C, which is one church across three campuses. “I really see this as the future of the church—making use of the resources, leadership and creativity of some of the larger churches to provide this stability needed for new mission starts, as well as struggling smaller churches,” said Scott Suskovic, a pastor of Christ Lutheran. They use a different anchor church model than Abiding Hope—adoption rather than accompaniment. When Christ Lutheran “adopted” Family of Faith in nearby Concord, the struggling congregation transitioned to become Christ Concord. As one church with three campuses, Christ Lutheran upholds a common vision and identity but works with leaders from each campus. Family of Faith gave up autonomy to enter the agreement, but it gained so much more, said Ralph Meyer, a longtime member. The congregation had been under constant stress and didn’t know what to do. When Christ Lutheran came into the picture, it seemed a godsend. “We were all in,” Meyer said. As part of Christ Lutheran, the congregation draws from the resources of a larger organization, providing financial stability and greater expertise in leadership. Now free of anxiety about surviving, the congregation is able to focus on mission and ministry. “Now we say, ‘All right, what can we do to serve this community? And we’re looking outward and not inward,” Meyer said. The anchor church model holds much promise as more and more larger congregations get involved, Duran said, but congregational vitality can be found in many contexts as the Spirit leads people to work in bold, creative, missional ways. Energy flows to a congregation when it’s involved in an invaluable ministry among God’s people. That’s the case for Iglesia Luterana Cristo Rey, El Paso, Texas. On the border of Juarez, Mexico, Cristo Rey has found mission and purpose in helping refugees from Latin America and offering immersion experiences for North Americans to learn about immigration and the border, said Rose Mary Sánchez-Guzmán, its pastor. Immersion participants meet refugees, undocumented migrants, U.S. Border Patrol officers, immigration lawyers and others involved in border culture. Through the chain-link fence that separates the countries, they talk with Mexicans about life in their country and working conditions in the U.S.-owned factories across the border. They learn about the poverty and hardship that is part of daily life for Mexicans, immigrants and refugees. Cristo Rey partners with other churches and organizations to provide welcoming centers to assist refugees who arrive without means or connections. Border immersion, refugee assistance and an after-school program help the congregation stay spiritually connected and vital. 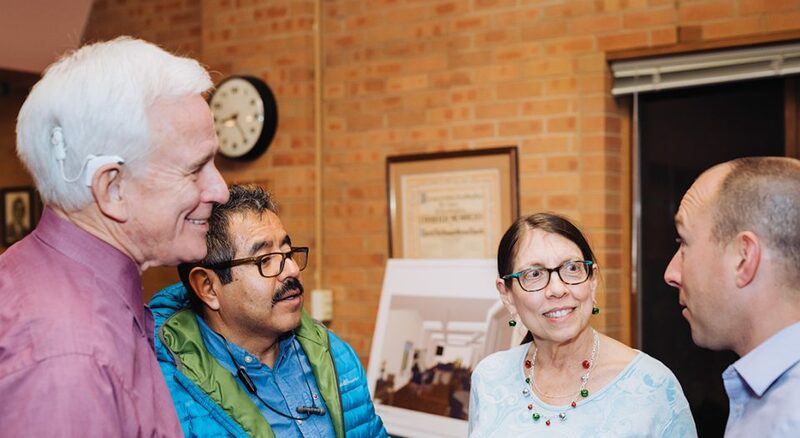 “Spiritually, it has changed our congregation,” Sánchez-Guzmán said, adding that although Cristo Rey is small in membership and its members aren’t wealthy, they’ve opened their hearts and lives to their border neighbors. Despite long odds and big challenges, there always seems to be sufficient numbers of volunteers and resources. Reformation was the first Lutheran church in Las Vegas when it started in 1948 in the middle of the city, but the downtown’s expansion—and prosperity—grew at the edges. By 2014, Reformation was struggling in a struggling neighborhood when it partnered with the Grand Canyon Synod to be a redevelopment congregation. The agreement provided finances and other support, and it paved the way for Jason Adams to be called as redevelopment pastor, trained to help bring new vitality to a tired congregation. To reconnect to old downtown Las Vegas, Reformation renewed its ties with other churches, agencies and organizations. It started a daily meal program where isolated older adults find friendship, as well as nourishment. Reformation also opened its unused education rooms to RISE Education Resource Center, a home-school group, in one of many efforts to bring the community to the church. Reformation continues its long-standing outreach and services, such as the Family Promise ministry for homeless families. 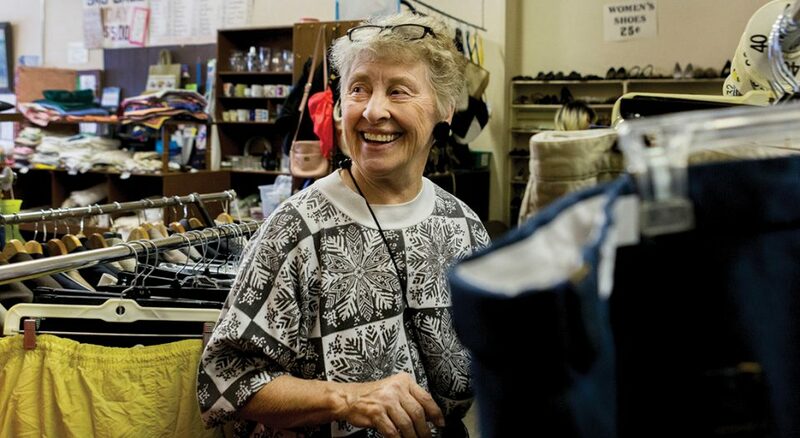 At its volunteer-run thrift shop, Martin’s Mart, people in need can get clothing and household necessities for much less cost than even other thrift stores. “We have customers that come in and say that if Martin’s Mart was not there, they could not live here and survive,” said Judy Schacht, the Reformation member who manages the store. The Indiana-Kentucky Synod is sharing with the wider church a revitalization course it developed for its congregations. The name describes the goal and process: Connect. Specifically, the course connects people and congregations to Jesus, one another and the world. Connect brings together teams from congregations for a two-year process of training and education that teaches practices and principles in four segments called “links,” said Nancy Nyland, the synod’s director for evangelical mission. “In the first link we focus on spiritual transformation because we know if people in congregations aren’t transforming spiritually, no other transformation is going to take place,” she said. In the Connect process, each team has homework, tasks to be accomplished and a coach who provides accountability. Having accomplished two cycles of training, the results are encouraging. Connect has made a big difference for Gethsemane Lutheran Church, Indianapolis, which four years ago was very inward-focused, running out of money and considering closing, said its pastor, Barbara Dahl. But things are really moving now. Gethsemane is reaching out to bring together senior citizens who live in apartments on one side of the property with families and children who live in apartments on the other side. A group of people with cognitive disabilities also has begun meeting at the church. Transformation is at the heart of a similar project underway in Pennsylvania’s Lower Susquehanna Synod. R3—short for reFORM, reNEW, reVISION—brings together teams from 23 congregations for an 18-month process of education and training. Through discussion, coaching, accountability, sharing ideas and fellowship, leaders are encouraged to walk more deeply in their faith, understand how God is already at work in their lives and communities, and see new possibilities.